Community Volunteers - PCC New Site! Community volunteers play an integral role in our organization, from assisting with the logistics of our free clinic to helping us manage patient records. There are many opportunities to volunteer, whether at the Monday night clinic or assisting with tasks in the office. The majority of our volunteer opportunities are at our Monday night clinics during the afternoon and evening. For descriptions of community volunteer roles, please click here. 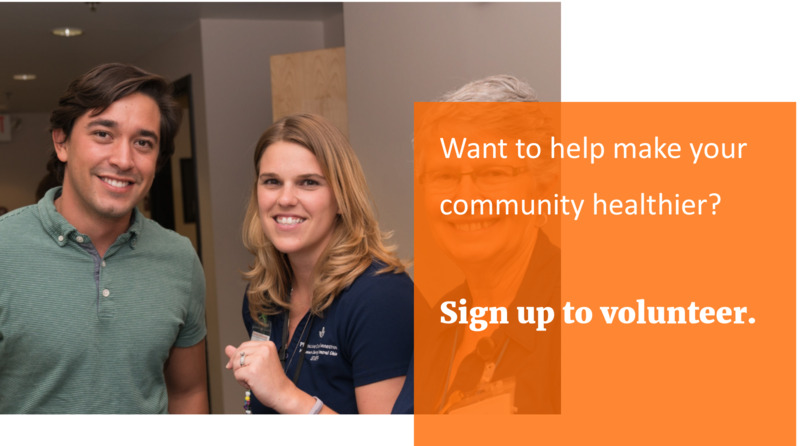 Community volunteers (including undergraduate and pre-med students) must complete an application and onboarding process before volunteering at the Monday clinic or in the office. To complete the application, you will need to have the names and email addresses of two references who are willing to answer a brief survey via email. To begin applying, contact Christianna Barnard at cbarnard@pcchealth.org. Please note that during the school year, volunteer roles that require less training tend to fill up quickly. Volunteer hours are not guaranteed. Training for in-depth roles will be announced as they are scheduled. Volunteers will be sent an invite to computer role trainings when they have finished the onboarding process. Monday Night Clinics are held on the second floor of the Columbus Public Health Department at 240 Parsons Avenue, Columbus, OH 43215 (click here for map). The medical clinic is held in the Sexual Health Clinic space and the Dental Clinic is held in the department's daytime dental clinic space. Our administrative office is located 1390 Dublin Road, Columbus, OH 43215 (click here for map). For questions regarding volunteering, please contact Christianna Barnard at cbarnard@pcchealth.org or 614-745-0587.